In free fall, only forces of gravity affect the movement of bodies. Components of global gravity force and physical mechanisms of free fall motion. Dynamics of movement of light. This section analyzes an important characteristic of motion in the reticular structure of matter, gravitational aether, or Global Aether with the radial symmetry of gravitational potential energy, contrary to theoretical total symmetry that we have studied in the previous section. We are referring to Merlin effect, which clarifies curvature of light in gravitational lensing, and anomalous precession of the orbit of Mercury, about Newton's Law of Universal Gravitation. Einstein’s General Relativity with its field equations and its distortion of space and time also explicates both natural phenomena. However, the first one to explain the anomalous precession was Paul Gerber with the same exact formula. 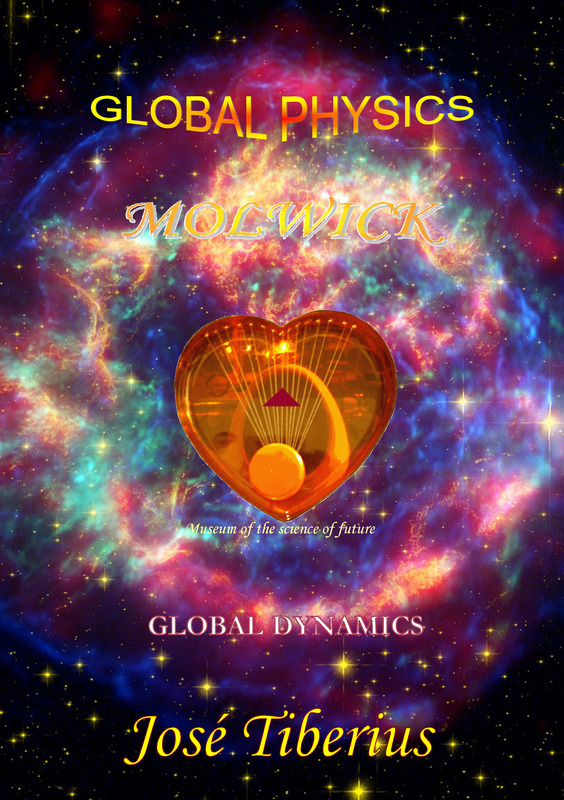 The significance of this effect lies in that it is not only compatible with the composition of mass, electromagnetic energy and full model of Global Mechanics, but it reinforces the model. Moreover, if these new mechanisms of movement confirm, they would make clear that relativistic mechanics is incorrect. As in section movement without gravity, in this section, we have not found any reason to believe time and space are relative, but we have detected some arguments to think just the opposite. In other words, we describe the mechanical causes of desynchronization of atomic clocks with movement and gravity. Regardless of the description of wave movement and Maxwell's Laws, propagation of light shows a small angular deviation when passing close by the stars, or curvature of light. This effect of gravitational lensing helps to understand nature of electromagnetic energy. We have commented about characteristics of propagation of electromagnetic energy through luminiferous aether –gravity field– in the book Global Mechanics, and on another hand, we have carried out analytical analysis of curvature of light in section Energy experiments in the book Law of Global Gravity. The latter also discuss forces taking part in the gravitational theory of electromagnetic energy, kinetic energy, and of mass. Law of Global Gravity is a mathematical formula that collects implications of Merlin effect, or second component of atractis causa, modifying Newton's Law of Universal Gravitation. In short, the formula adds kinetic energy to the gravitational interaction. Conceptually, we can see that global mass of the object in movement does not appear in the formula because it should appear on both sides of the equation. That is, an increase of global mass would not change orbits of the planets or velocity of free falling bodies. However, the second component of atractis causa will modify them because of the double gravitational effect of kinetic mass –equivalent mass to electromagnetic energy transformed into kinetic energy–, which provokes an increment in gravity force per unit of mass. In the case of light, we would have to put this equation regarding energy, but it would be equivalent, given that mass is nothing more than a type of elastic energy or phase of gravitational or Global Aether. Logically, reasoning would refer to electromagnetic energy instead of kinetic energy. Since the speed of light is equal to the speed of gravitational waves –in the sense of propagation of longitudinal tension of gravitational aether–, gravitational interaction is exactly twice as a mass at rest; the same result as observed in solar eclipse of 1919, and explained by Einstein with space alterations due to energy. According to Wikipedia, in free fall only forces of gravity affect movement of the bodies. Although, they also speak of free fall in cases of movement with distortion of space and time due to gravitational energy in General Relativity. Global Dynamics explains deviation in free fall in regards to Newton's Law of Gravitation. It offers an alternative to General Relativity, maintaining principles of Euclidean space and absolute time, and without using any artificial dimension or changing the physical reality for each observer. Mathematical demonstration of anomalous precession of Mercury with a formula for the Law of Global Gravity is available in the section mentioned earlier in Energy experiments. The gravitational aether is in constant vibration and synchronized with the resonance of mass. Logically, when increasing the tension of the longitudinal curvature of gravitational aether, its vibration will be faster; therefore, it would imply an increase in the resonance frequency of the mass. In more intuitive physics, what occurs is an increase in the intensity of the gravitational field, which would have same effects as those mentioned in the previous section on movement without gravity. Time does not appear to change by any acceleration or increase in its absolute rhythm except when we measure it based on mass resonance as General Relativity does, but it is not the case of Global Physics. Section 3.c.3.Velocity of mass refers to the elements of this concept, specifically, the concept of mass in Global Mechanics, and the material support of kinetic energy. We have discussed common peculiarities of movement on global or kinetic aether with total symmetry in section Physics of movement without gravity. Kinetic energy is the cause for the mechanism of mass motion in a theoretical total symmetry of Global Aether, and it will intervene in free fall. We have described various states of motion of the mass, at rest, uniform movement, and acceleration, together with the meaning or effects of the corresponding kinetic energy related to them. In other words, the same mechanisms of motion as a response to kinetic mass, keeping synchronization of mass resonance with Global Aether vibration while velocity changes. This movement is similar to displacement with total symmetry when the force applied is the force of Newton's gravity. This force is the first component of the atractis causa in the Law of Global Gravity. The increase in mass with velocity derived from relativistic mass would not affect acceleration, given that Newton's gravity increases in same proportion as mass. Earlier in this book, and in the book Law of Global Gravity, we said this increase in mass with velocity is correct as long as we measure velocity regarding its natural or privileged system of reference –gravitational aether or Global Aether. This effect will appear in any displacement of mass throughout Global Aether with radial symmetry. In other words, it appears together with Newton's gravity wherever there is also the movement of the mass in regards to the natural system of reference. The only thing left to explain is why the deviation is smaller in case of free fall than in movement of light. On Global Aether with the typical radial symmetry of gravity, the difference between the movement of light and bodies with mass has a strong significance, because same formula and same argument elucidates both deviations. Merlin effect is due to increase in the gravitational interaction due to velocity, and energy –kinetic or electromagnetic–quantifies the effect in both cases. Kinetic energy quantifies the effect because the movement of global mass is involved and, taking into account its velocity, it takes up an energy equivalent to the electromagnetic or gravitational energy necessary to reach the speed from initial state at rest, within its natural reference system or gravitational aether. In other words, the second component of atractis causa or Merlin effect over global mass is equal to Newton´s force of gravity on kinetic mass, or an increase of mass at rest due to velocity, given that force of gravity of electromagnetic energy is double. One part compensates for the mass increase with speed, maintaining a force of gravity per unit of mass, and the other part produces an increase in the force of gravity per unit of mass. 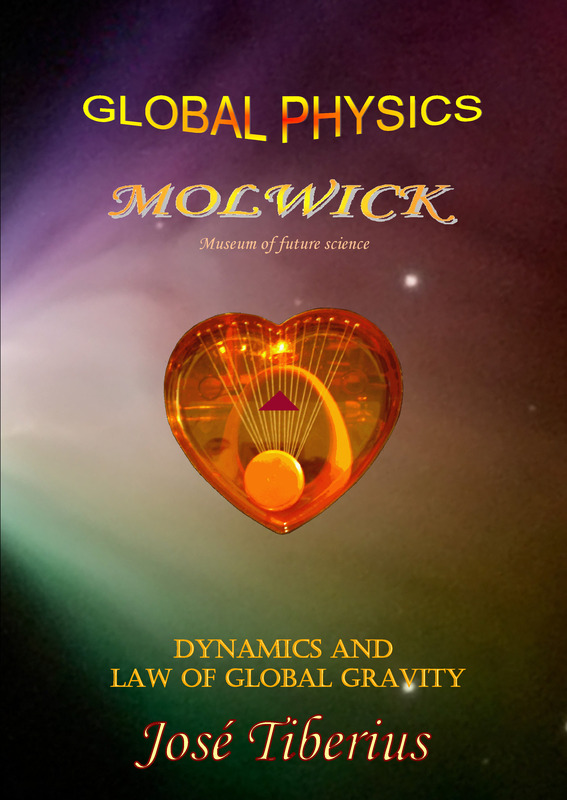 Subsequently, potential gravitational energy will also change, as discussed in the section on Potential energy from the book Law of Global Gravity. In short, if the force of global gravity per unit of mass increases, the orbits of the planets and, in general, free fall movement of bodies with mass will change. On another hand, General Relativity uses additional kinetic energy –or energy in general by extension– to stretch or expand space or to modulate time –depending on reference frame–, so calculi within that theory are consistent, although they do not make much sense. The relation between force, mass, and acceleration continued to exist in Global Physics model, but it is not constant. We have to take into account intrinsic increases in mass and gravity force with velocity, regardless the decrease in the force of gravity with distance. Another relevant aspect is the impossibility of determining the Constant of Universal Gravitation when we do not know the relative speed to the kinetic aether. For instance, because on Earth there is always common kinetic energy of all the objects on the planet and the planet itself, the second component of atractis causa would be included in the Constant of Universal Gravitation. Planetary orbits could be different if we use reference system of the star or outside the star, because kinetic energy would be affected, and therefore, the force of gravity. The Last Dolphin paradox shows this effect in the kinetic or gravitational aether. Also, there is a project to measure the Constant of Universal Gravitation in outer space. According to our reasoning, various measurements, with different velocities and locations, could allow determining the relative motion of the Sun to the kinetic aether in which it moves. Moreover, it could be achieved same way in Earth, but it is doubtful precision of measurements would be good enough. Perhaps, an analysis of Gravity Probe B data throughout is duration could elucidate this subject. If we add other forces to free fall motion, kinetic energy can make the body move in any direction. Direction and sense of movement will depend on the spatial configuration of the object’s global mass, and of the global, kinetic or gravitational aether. Resulting force from energy exchange, given the spatial configurations mentioned, will be the cause of motion. 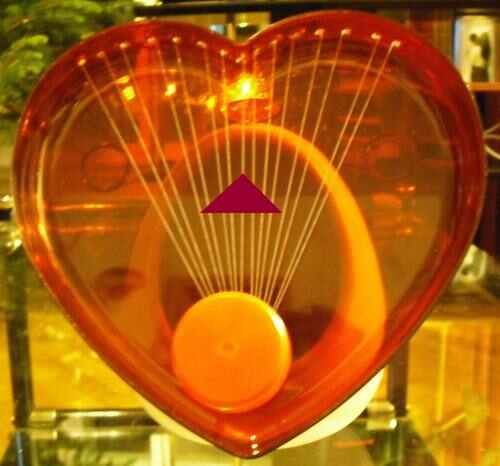 In the figure of the bewitched heart, we can see, from the string’s arrangement –further apart at the top– that if we make the strings vibrate, any object or energy property on them will tend to move upwards. We just need to imagine the strings are a bit convex to the vertical axis in the middle, and that they have some longitudinal tension. However, if the object had a shape like the black triangle, it could well move to the contrary, then its spatial configuration would mean greater effect on the exchange of energy than that of spatial configuration of the strings. The spatial configuration of global mass, and of the gravitational aether –supporting medium of the gravity field, mass and kinetic energy–, govern movement and explain why bodies in motion do not stop until other forces apply, as we discussed in the previous section on Physics of movement without gravity. because they don’t know how to evaluate things by themselves.